Switch-rodders rejoice...a decent dose of "soul" is headed your way! New for 2015, the ECHO GLASS SWITCH is perfect for anglers pining for the feedback lost with modern graphite rods. Sweet flex, smooth recovery, along with the power you need when casting sink tips or monster nymph rigs. 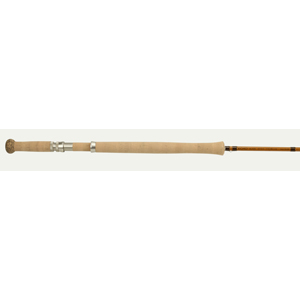 Offered in weights 3-4 for trout, and 6-7 for steelhead/salmon, everyone can get their (two) hands on a soulful stick for any application.